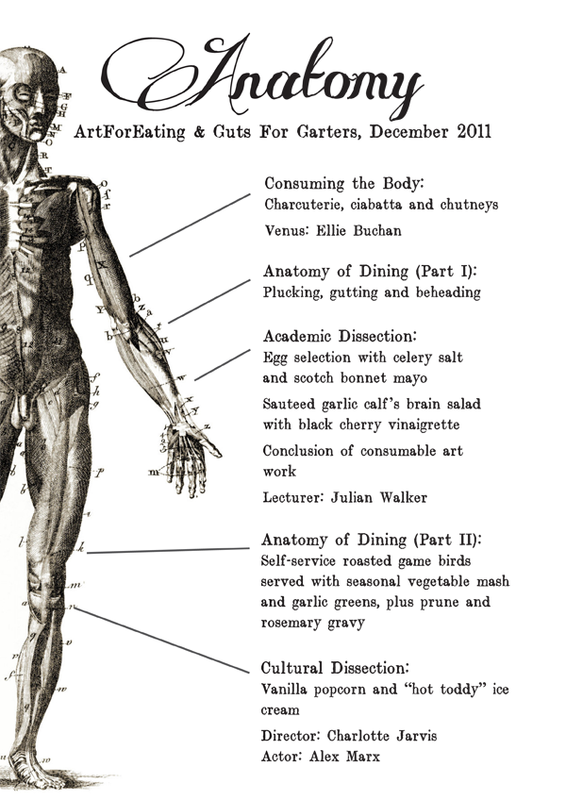 A dining event, performance and lecture exploring the themes of anatomy, dissection and consumption across five courses. In collaboration with Guts for Garters, The Cob Gallery and Julian Walker ArtForEating set out to discover, dissect and delight in a gastronomic feast for the finest taste buds, the strongest stomachs and the curious mind. Check out some rather lovely reviews here and here.